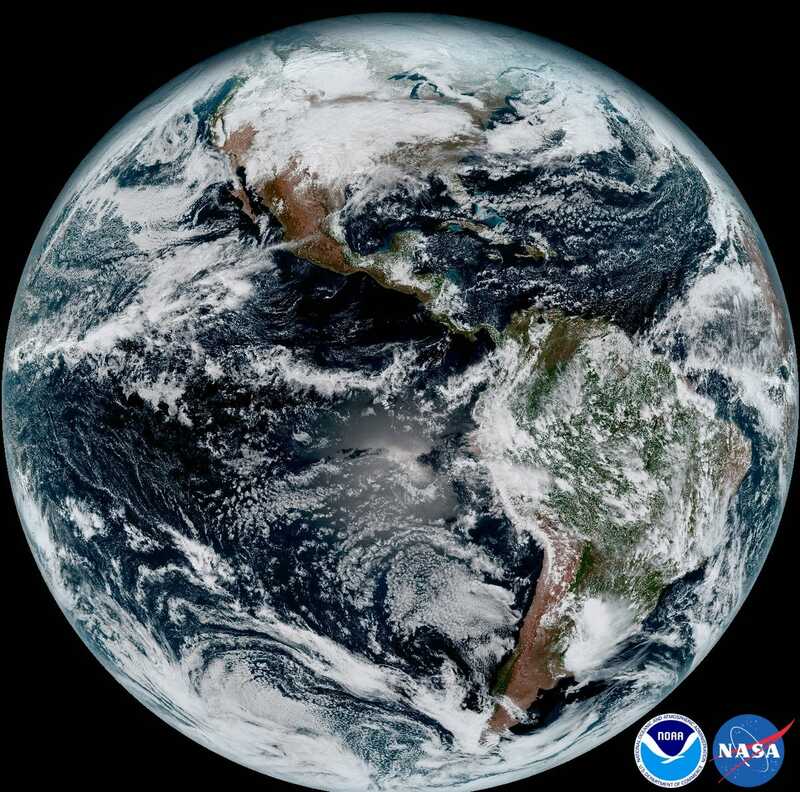 Below is one of the most comprehensive full-disk images of Earth ever captured - and the government of United States is currently downloading a new version of it every other15 minutes. 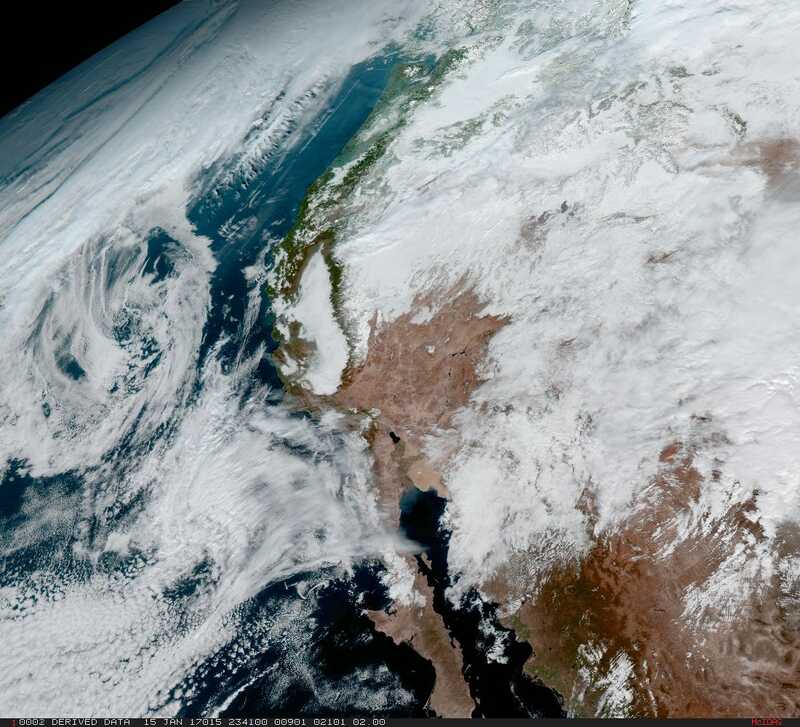 This extraordinary view, captured on January 5 at ET 1:07pm, is about four times more clear and comprehensive than any full-disk image of the earth ever taken before. 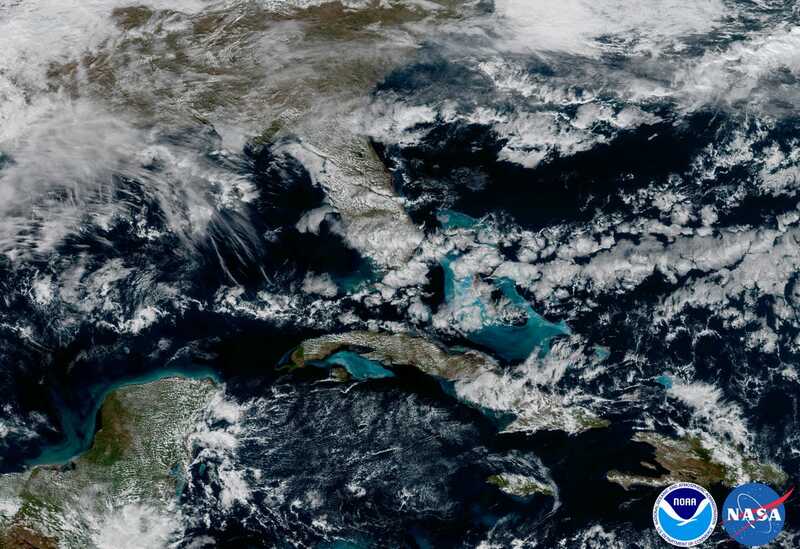 This image was captured by a recently launched National Oceanic and Atmospheric Administration (NOAA) weather satellite, called GOES-16 (and formerly GOES-R). GOES-R is short for for Geostationary Operational Environmental Satellite. This satellite is a part of the newest fleet of Earth-monitoring satellites. 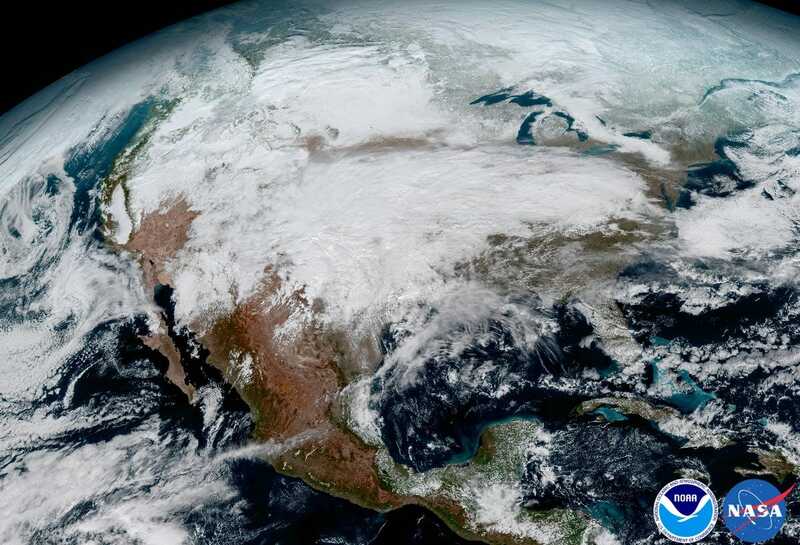 The director of NOAA's National Weather Service, Louis Uccellini, said in a press statement that the view is "much more than a pretty picture ... it is the future of weather observations and forecasting". GOES-16 was launched on 19 November 2016, and it’s at geostationary orbit orbits, nearly 22,300 miles (35,900 kilometers) above Earth. Here are some crops of the full-disk image.